Be sure NOT to set your video to PRIVATE and do NOT disable "Embedding" as we need these options to display it on our site. 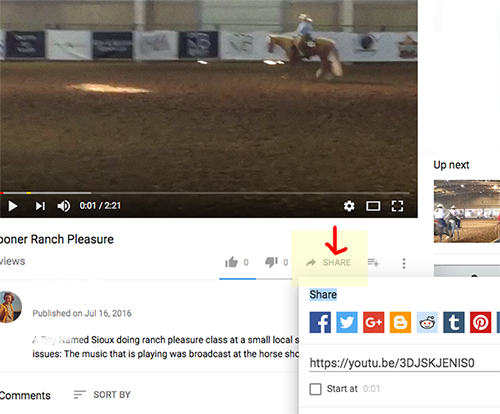 Click the SHARE button on Youtube (shown above) to see and highlight the SHORT LINK to the video. The link also appears in your browser's toolbar at the top of your browser window.